First of all, I temporarily have a new blog design up. Tell me in COMMENTS what you think of it vs. the prior design. Thumbs up or down? Periscope, Meerkat, Facebook, Twitter, Pinterest, they are ALL enormously powerful marketing tools when you do this ONE twist. So today I give you that ONE TWIST that turns social media from STILL getting WHOOPED up on by email marketing TO a super power producer of sales and leads. 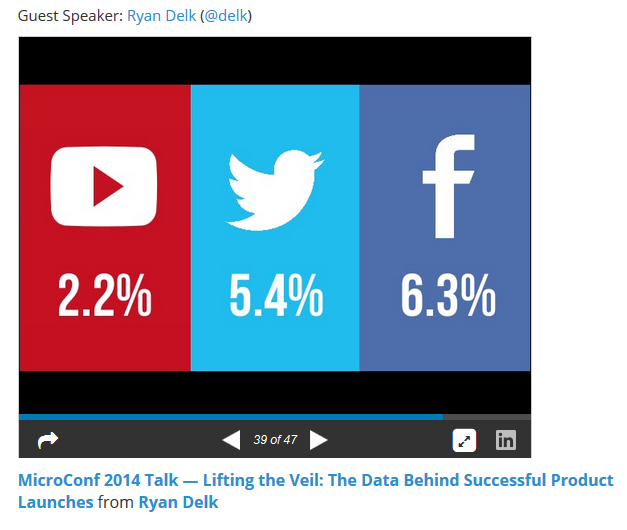 Ryan Delk from Gumroad, based on the vast amount of data in their system, they have found the following conversions rates for traffic from Youtube, Twitter and Facebook.